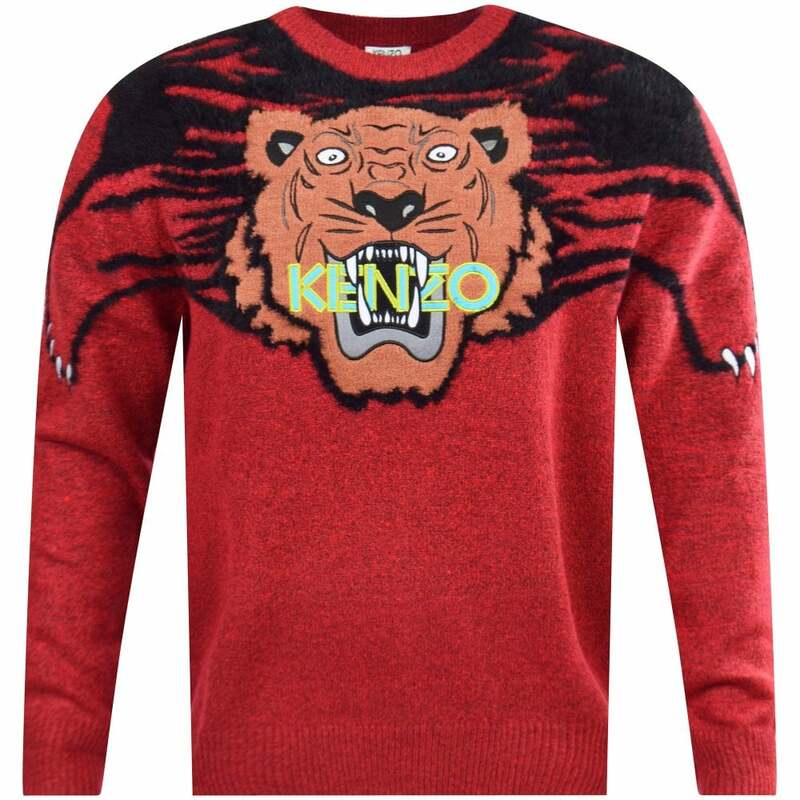 Rebellious High Fashion: Kenzo in a nutshell. This world-famous fashion brand was born from the brain of Kenzo Takada who, having initially attended university to study Literature at the behest of his parents, dropped out to become one of the first ever male students at Tokyo’s Bunka Fashion College. This rebellious defiance has led to a fifty-year fashion legacy, with Kenzo growing to become one of the world’s most famous, recognisable and sought after brands. Kenzo made his name with his innovative and bold design choices, often inspired by Asian and Japanese culture, coupled with bright colours and the classic construction of European high fashion. Cool, contemporary and eye-catching, Kenzo is the brand for people who take everything to 100 – they work hard, play hard and, most importantly, dress impeccably. So if you love living in the fast lane and want your clothes to show it, check out some of our favourite Kenzo pieces below and, if none of them takes your fancy, shop the whole collection here. 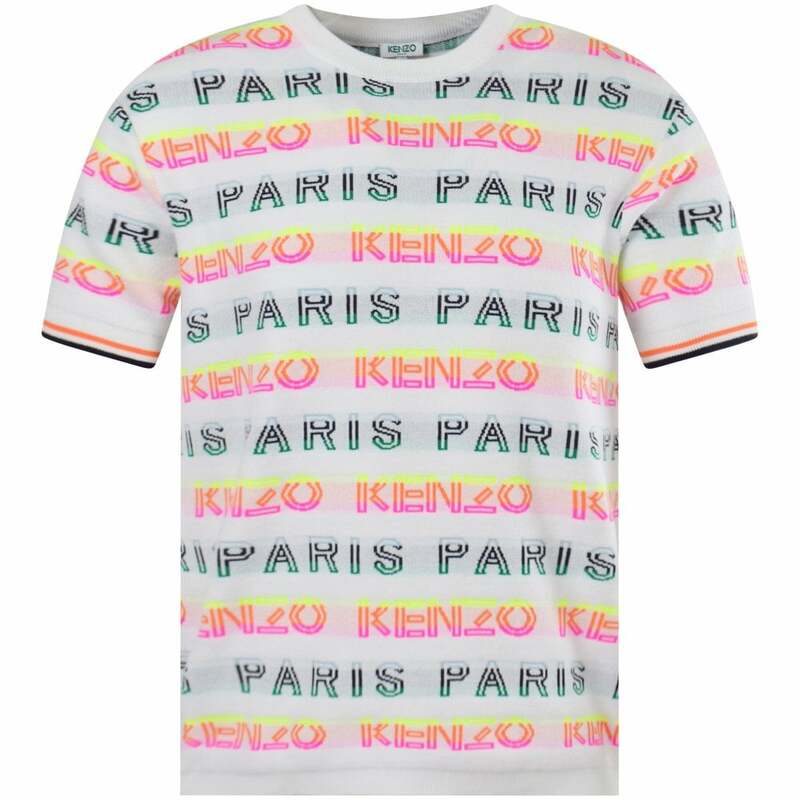 We’re kicking off with this trendsetting T from Kenzo’s brand new Spring 2019 collection. Green and blue are huge this season, and this gorgeous shade of duck egg blue hits the perfect note. 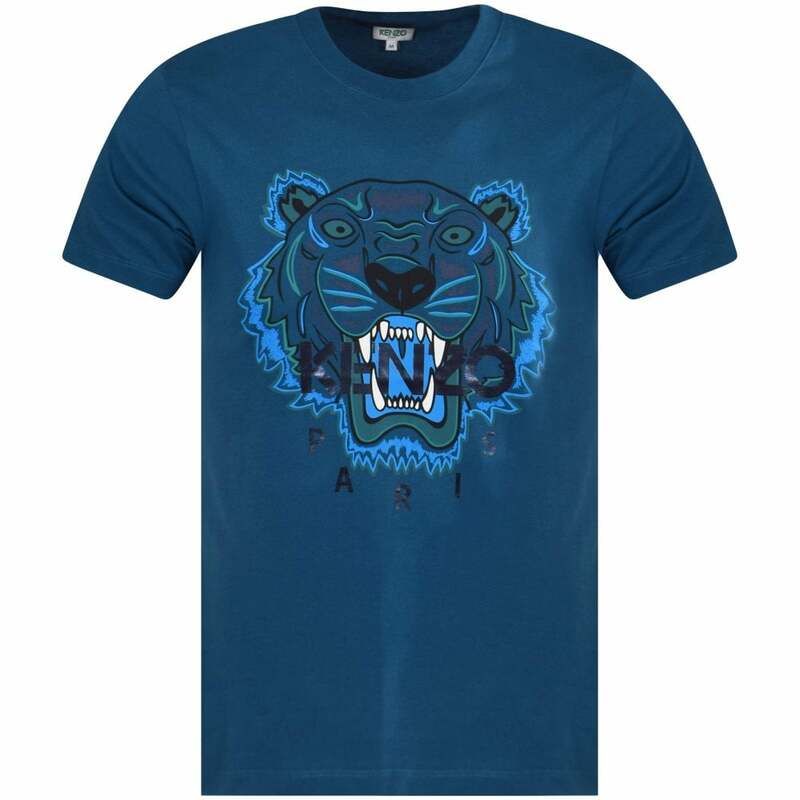 The shirt features the iconic tiger logo emblazoned across the chest highlighted in tones of green and blue. The Kenzo logo nestles nicely between the Tiger’s huge teeth in black, blending in beautifully with the overall design. If you love your attire to come complete with a slice of jungle action, add this T-shirt to your Spring wardrobe! Attractive accessories can often be in short supply, and for those of us that know fashion doesn’t stop with your clothes, what are we to do? Luckily, Kenzo has come through with this deliciously attractive black satin backpack. With the iconic tiger logo embroidered in glitter, as well as its satin exterior, this bag screams opulence and grandeur. This one might not just be for the lads, so if you have a special someone in your life who loves a bit of sparkle, this may make the perfect surprise gift. If you’re anything like us, you’re hoping and praying for a summer like last year. Endless hot days, warm nights, it felt like we were living in California. Keep the dream alive by grabbing this flamingo pink cap for your summer wardrobe. The bright, almost neon pink is super on trend, as well as having the double benefit of keeping you cool when those hot rays beat down. The bright blue eyes of the tiger create a stunning contrast with the pink background, and will sure to have you standing out amongst those festival crowds! While we’re dreaming of summer, the reality is that winter still has quite the hold on us all. Snow, sleet, rain, ice, when will it ever end? While it’s still so important to keep wrapped up warm, this cosy knitted jumper will do the job until Spring is finally sprung. Crafted from a breathable cotton blend, this jumper features the tiger logo to the centre, the bright orange colouring and surrounding black tiger print creating a stunning contrast against the ruby red background. Life in the jungle doesn’t get much more toasty than this! It’s not often that your favourite go-to for on-trend, casual looks can also hook you up with the perfect work shirt. This crisp, white, long-sleeved shirt is perfect for the office. The clean, simple design is completed with the tiger logo embroidered in black to the breast. This shirt is incredibly versatile and would look equally as good paired with jeans and trainers for a casual night out. If you love your clothes to be multi-purpose, this shirt is definitely for you!